NEW picture dam C P P Armani Rexana! We received a NEW picture made by Alex Arkink from the dam of the Grand Champion R&W Junior Expo Bulle '18: Giallina EX-90-CH (s. Ralstorm). 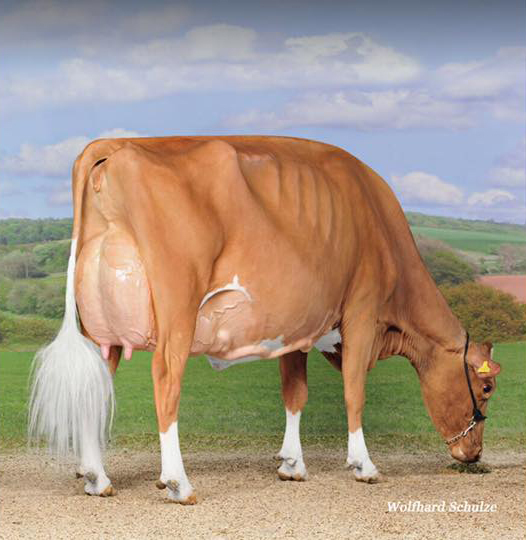 This Ralstorm is a direct daughter of the famous Incas Grenada EX-94-CH EX-97-MS. Grenada has a long victory list with winning the Grand Champion & Res. Best Udder Swiss Red Night '12, Res. Grand Champion & Best Udder Swiss Red Night'13, Res. Best Udder Swiss Red Night '16, Best Udder Swiss Expo '16 and 3rd place in her class @ Swiss Expo 2017! Giallina is the dam to C P P Armani Rexana, this RED Armani daughter won the Grand Champion R&W & BEST UDDER at the Junior Expo Bulle '18 and received a second place in her class behind the later on Res. 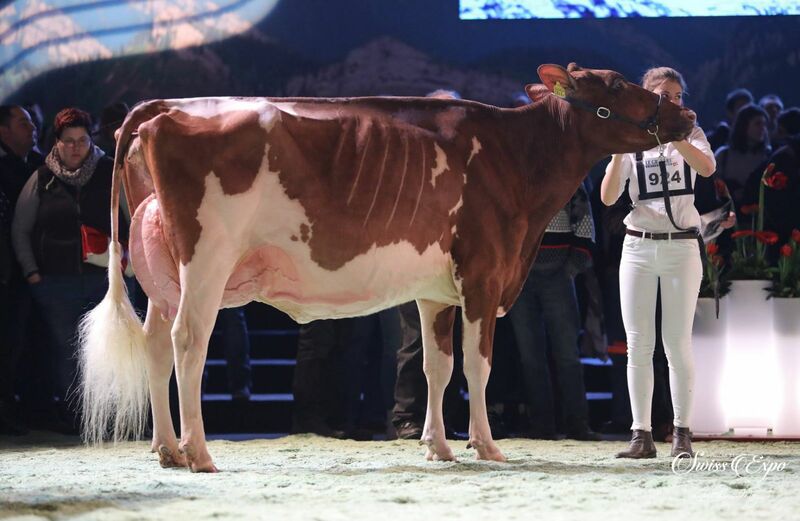 UDDER Champion Swiss Expo '19: Plattery Armani Brook. Giallina herself was also succesfull at the Swiss Expo 2017 with a 8th place in the Holstein class. Giallina has also two very stylish & promising Atwood daughters, with one *RC! !